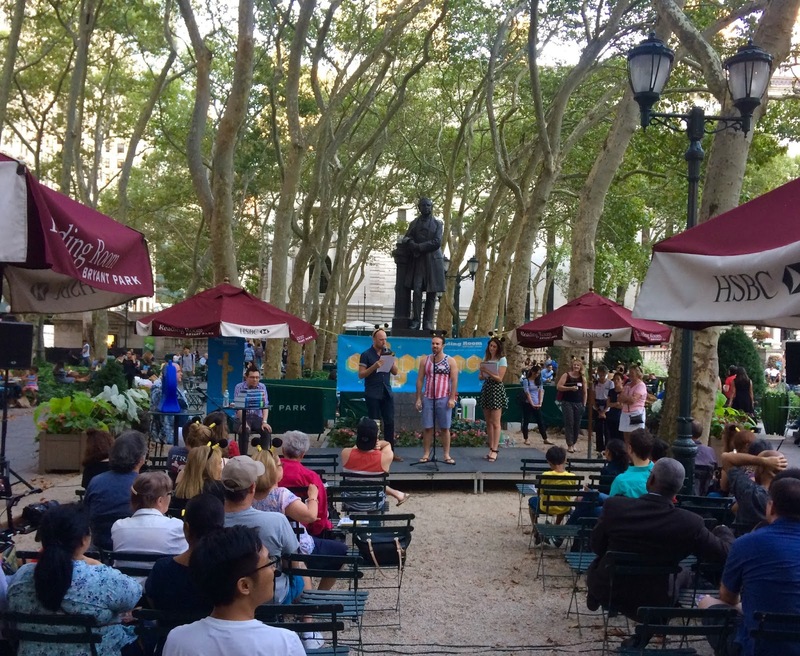 Contestants compete in the Bryant Park Spelling Bee hosted by comedians Olivia Petzy and Kevin Doyle. Last week the Bryant Park Reading Room hosted the first edition adult Spelling Bee. Twenty-three contestants relived their middle school glory days and competed for a chance to win an Amazon Kindle, an Oxford University Press Dictionary and the coveted title of Bryant Park Spelling Bee Champion. If you missed the last week's bee their is still T-I-M-E to register for this week's! Lively and entertaining commentary on Chinatown with resident film expert Scott Adlerberg and Author Wallace Stroby. Stop by and pick up a free advanced copy of your book club choice while supply lasts. Produced in partnership with New Oxford University Press, Inc.
Beloved NBC weatherman brings the story of the Great Gulf Hurricane of 1900 to life. The first person to say "Storm of the Century" to the Reading Room Coordinator at the event will win a free copy of the book. Co-Hosted by Olivia Petzy & Kevin Doyle.